Moeller, Karl (2005) Rhetorical criticism. In: Vanhoozer, Kevin J., (ed.) Dictionary for theological interpretation of the Bible. Baker Academic, Ada, Michigan, USA, pp. 689-692. Book abstract: Today's biblical interpreter, whether scholar, student, or pastor, is faced with a plethora of philosophies and methods for interpreting Scripture. Postmodern trends have emphasized one's community identity in shaping interpretation, leading to differing conclusions. In addition, modern biblical interpretation has too often been characterized by a schism between the disciplines of exegesis and theology. The Dictionary for Theological Interpretation of the Bible is a groundbreaking reference tool that seeks first of all to marry the tasks of exegesis and theology with the goal of theological interpretation of Scripture--that is, interpretation that has recovered a focus on the subject matter of Scripture: the nature and activity of God and the gospel. Second, it aims to provide a guide to understanding various interpretative approaches and a tool for evaluating them in light of this goal. 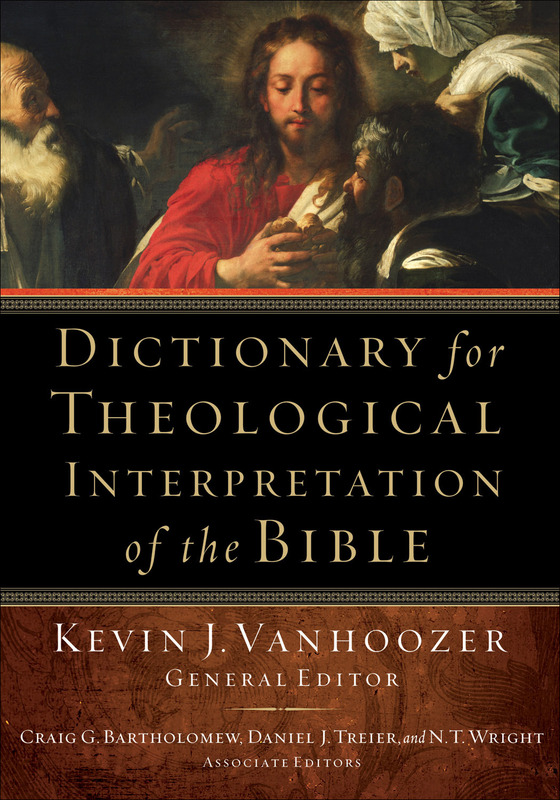 The dictionary covers a wide range of topics related to biblical interpretation with both depth and clarity. Topics include the theological interpretation of individual books of the Bible, issues of hermeneutics, various biblical interpreters and interpretative communities, and the interplay of interpretation with various doctrines and doctrinal themes. The contributors represent a diverse range of theological backgrounds and interpretative approaches and are experts in their respective fields.